We knew Samsung’s foray into music streaming was coming since Samsung acquired mSpot, an ancient music service (in tech years) founded in 2004. 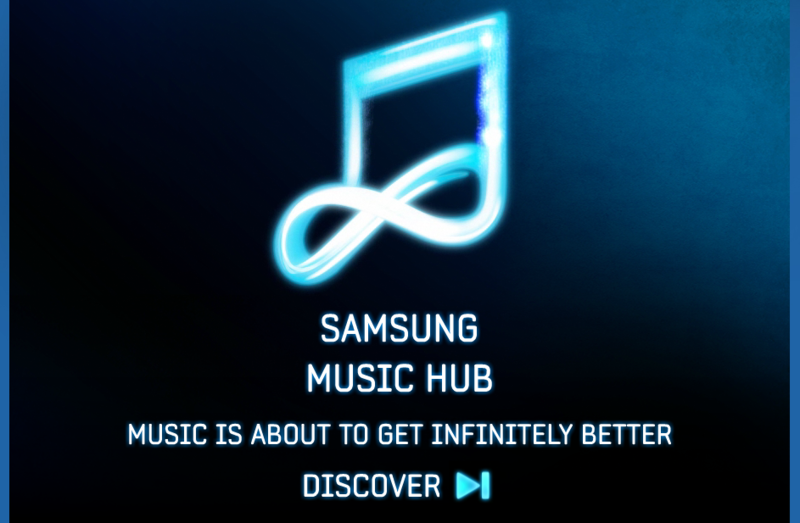 And now, it’s arrived: Samsung will be unveiling its music service, called Music Hub, initially on the Samsung Galaxy S3, with plans to expand to a “wider selection” of Samsung devices “soon,” according to Samsung’s press release. What wasn’t anticipated was that Music Hub is a concerted effort by the Korean company to take down Spotify, Last.fm, Pandora, iTunes Match, and Sony’s Music Unlimited in one fell swoop. Samsung’s Music Hub is a pay-only subscription service. The Music Hub Store offers listeners 30-second clips of songs, but nothing more. Its premium subscription service will be priced at £9.99 and €9.99 per month as it is released initially to the U.K., France, Spain, Italy and Germany, respectively. But what users will be getting for their money is a strong Spotify contender. The service includes its “Scan & Match” cloud storage for up to 100GB of existing music, streaming radio, a personal recommendation engine (a feature that is sorely missing from Spotify) and a catalog of music numbering in upwards of 19 million tracks. Users can also easily sync their existing iTunes library onto Music Hub. What’s notable about the service and Samsung’s competitive advantage over its competitors is its effort to make the service available on just about any Samsung device. With the Samsung Galaxy line having overtaken iPhones in world-wide revenue, it’s a highly likely proposition that simply making Music Hub available as a default service on all Samsung devices will etch away at Spotify and Pandora’s market share. Whether Samsung plans to integrate the music service into other devices, like its line of refrigerators and Smart TVs, is not yet known. To bolster its cross-platform availability, Music Hub can be accessed by a PC owner’s browser on MusicHub.com.